A patent is a protection granted to a person or entity (often the inventor of a product) that vests the exclusive and proprietary right to make, use, or sell the invention, new process, or new design. In the United States, patents are the best way for inventors to protect the rights to their inventions. A patent is a recognized form of personal property. As personal property, patent rights can be co-owned, transferred, licensed, or inherited. Patent holders can profit by manufacturing and selling the patented product themselves. Many patent holders also profit by contracting with other businesses to manufacture and/or sell the patented product. A patent granted in the United States is effective only within the United States, U.S. territories, and U.S. possessions. An inventor needs to apply for a patent in every country where protection is needed. It is easy to confuse patents, trademarks, and copyrights. They are all intellectual property rights with certain legal protections afforded by the laws of the United States, but they are quite different. A trademark is a distinct symbol, logo, word, or words that are legally registered or established through their use as representing a company or product. An inventor may wish to trademark the name of the invention and the business that produces and markets the product. A copyright is a right that grants the creator of an original work the exclusive right to determine whether, and under what conditions, this original work may be used by others. A copyright is usually appropriate for works of art, music, written materials, films, and other artistic creations. U.S. law recognizes several types of patents, each with specific types of protections. manufactured article, process or composition of matter. Provisional patent, obtained by filing a provisional patent application. This is an optional first step towards a utility patent. Design patent, for any new, original and ornamental design for a useful article. Plant patent, for any new and distinct variety of plant that can be asexually reproduced. Although it’s theoretically possible that an invention can qualify for more than one type of patent, most inventions qualify only for one. 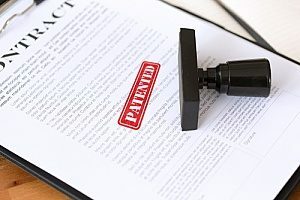 To get a patent in the United States, a person– usually the inventor– must apply to the United States Patent and Trademark Office (USPTO) for the patent. It grants to the patent owner the right to prevent anyone else from using the invention without the patent holder’s consent for a 20-year period. (A design patent is good for only 14 years). This exclusive right means that only the patent holder can profit legally from the patented creation or invention during that 20-year period. In effect, a patent gives the patent holder a short-term monopoly on the invention. The PTO is very slow to act on applications for patents. It can take years to get a decision, and maybe longer if the invention is software. These time delays have caused some inventors to opt not to apply for a patent. The potential problem they will face is someone else may beat them to the patent, significantly damaging the inventors’ ability to ever obtain a patent. It is best to apply for a patent as early as possible, even though it can take years for the USPTO to make a decision. Patent searching is itself a special skill. An inventor must do a thorough patent search, and doing it yourself is difficult, especially if you have never done one before. For help, an inventor can contact the nearest Patent and Trademark Depository Library (PTDL) and ask a search expert for help in setting up a good search strategy. The best way to approach this is to hire an attorney who specializes in patent law or a patent searches. The inventor can have more confidence in the search results when done by an expert. As soon as an inventor has an invention that is far enough along in its development that it can be patented, the inventor should file a provisional application. In the United States, the first one to file a provisional application has the protection against anyone who comes later or tries to market the invention without the inventor’s permission. Most inventors should file a provisional application. It is an easy and inexpensive way for inventors to protect their rights to their invention while they continue to make minor refinements, test, or even market the invention before filing a non-provisional application for patent. A provisional application will not get the patent, but it will establish the applicant’s priority rights and gives the applicant “Patent Pending” status for 12 months. Multiple provisional applications are advisable if the inventor plans to continue to work with the invention to improve it or develop other versions of it. Each application will help the inventor protect priority rights in each version of the invention in the event a competitor enters the picture. The “non-provisional application” is what can ultimately get the patent. It will need to be as detailed as possible. It must be filed within 12 months of the provisional application. 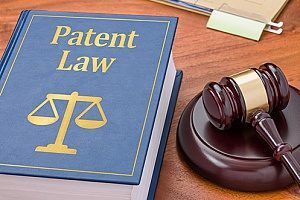 In drafting any patent application, the inventor or the inventor’s attorney should be specific and very explicit in describing the invention and explaining how it is unique from other products. Describe the purpose, how the product works, how it will be used, and why it will be used. Patent applications can be complicated and tricky. 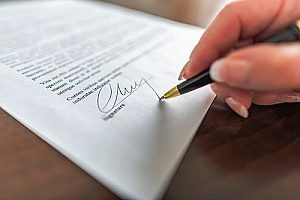 Speak to an experienced litigation and dispute resolution attorney for more information about patents and the application process.